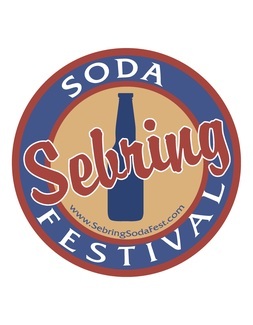 Sebring Soda Festival- Opportunity for Non-Profits! How would you like signage and visibility at the Sebring Soda Festival with NO COST to you or your organization? The Sebring Chamber and the Sebring Soda Festival is partnering with organizations (churches, clubs, non-profit organizations, etc.). to host the soda tasting booths. Your own 10 x 10 pop-up (EZ Up) tent, table, chairs, and volunteers from your organization to pour soda samples for the festival-goers. You will need 2 volunteers at any given time during the event hours from 10am-5pm. Your volunteers can wear your organization's apparel, you may put up signage or banners, and you may distribute your organization's material to promote community relations for your group. We provide the cooler, ice, sodas, tasting cups, bottle openers, trash receptacles, and everything else you may need for the soda tastings. This is a limited opportunity, so be sure to sign-up your organization before space runs out! Lighthouse of Manasota of Highlands Co.